Irish English, also termed 'Anglo-Irish' or 'Hiberno-English', as in this book, is not usually perceived as having a grammatical system of its own. 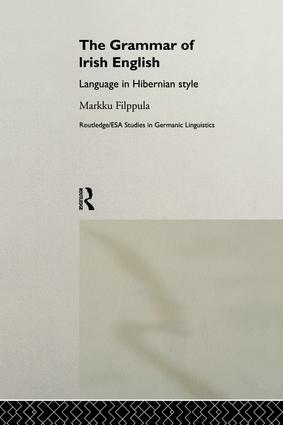 Markku Filppula here challenges this misconception and offers a descriptive and contact-linguistic account of the grammar of Hiberno-English. The Grammar of Irish English is a comprehensive empirical study which will be an essential reference for scholars of Hiberno-English and of value to all those working in the field of Germanic linguistics.